PLEASE RENEW YOUR SUBSCRIPTION—ITS FREE! I forgot to mention that because this is a brand new website, if you were subscribed to Parenting in the Loop, previously in order to continue to receive new post notifications you will have to subscribe again to the new site. I hope you will do so I enjoy all my subscribers and their blogs as well. Although ‘Hunger Games‘ is a movie…in my opinion, it is much more than a big box office hit. It is a commentary on the fierceness with which we approach certain parts of our lives. It is very popular with our teenagers…why? Why is it that they love the type of competition that ‘Hunger Games’ portrays? At dinner with friends the other night, I tried to initiate a discussion about ‘Hunger Games’…I asked what they thought of the violence in the movie? Now, I have to admit that none of us have even seen the movie. So I probably had no business even starting a discussion in the the first place. But my friend popped up and said …”it really isn’t that violent”…which is what she had heard somewhere in a review…she did not get a chance to go on, because the men at the table changed the subject. So I am turning to you …to see what you think about this Op-ed piece in the New York Times? Are some kids being raised with a ‘Hunger Games’ mentality? To answer all my questions, I may even have to go see ‘Hunger Games’ in the theatre instead of waiting for the DVD …but then haven’t I just fallen into the media hype pit? Please click the link and read the cartoon segments that precede this quote in the ‘OP-ED’ New York Times. ‘Hunger Games’ Parenting – NYTimes.com. Amy Chua’s best-seller, “The Battle Hymn of the Tiger Mother,” trumpeted the benefits of raising children with draconian strictness in the Chinese fashion (or allegedly so). Pamela Druckerman’s “Bringing Up Bébé: One American Mother Discovers the Wisdom of French Parenting” made the case for a more casual, laissez-faire approach. But each mode has something to offer! Thus, cruelty and indifference combine to perfect effect in the philosophies of the “Hunger Games” Mother. Who better to help parents navigate the brutal, futuristic dystopia that is contemporary childhood? A primer, above. Every now and then I write about SIDS (Sudden Infant Death Syndrome). It is frightening for parents to even think about this happening but there are American Academy of Pediatrics‘ recommendations to follow to lessen the risk of SIDS . According to recent information, SIDS a disease which can be triggered by other environmental factors such as sleeping on soft surfaces, or stomach sleeping. These situations can set off a reaction whereby an infant ceases breathing due to an abnormal increase in his/her CO2 level. SIDS is not “suffocation”. Every parent-to-be should be given information about SIDS prior to delivery and any questions should be answered by nurses or pediatricians early in the newborn period. It is easier to follow sleeping guidelines when they are explained and make sense as to why they are important and how they can make a difference in the prevention of SIDS. Of course unfortunately, there are never any guarantees but parents can do their best with the knowledge that they have to prevent a tragedy. There is so much to being a parent … children are precious… we are their protectors…just as we use car seats to protect them in the car we should protect them when we put them to sleep. SIDS is down, but back-sleeping is just part of the message – USATODAY.com. Replies to SIDS and Other Sleep-Related Infant Deaths: Expansion of Recommendations for a Safe Infant Sleeping Environment. SIDS and Other Sleep-Related Infant Deaths: Expansion of Recommendations for a Safe Infant Sleeping Environment. I loved “A Tree for Max”…it is delightful read for a child as well as an parent. This is a book I will happily share with my 3 year old granddaughter throughout her childhood. At first, I am sure she will enjoy a synopsis of this fable, while focusing on the beauty of the photography and the imaginary conversations occurring among the forest trees. What a wonderful way to stimulate her sense of make-believe and awe! As she gets older, I know she will appreciate the story of Max’a move from one home to another, as she experiences along with Max the changes which take place when a child is transplanted. “A Tree for Max” is a book which continues to grow along with a child as he/she journeys through life and will bear fruit all along the way. 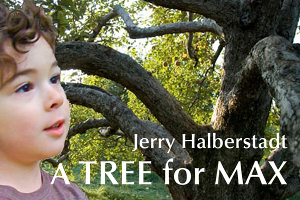 Disclosure: I personally know Jerry Halberstadt and was given a copy of “A Tree for Max“, my review was unsolicited and my opinions are as always my own. Lately, I have been writing a fair amount about childhood and obesity. This is a problem that begins early in a child’s life. Back in the day, there was a saying,“a fat little baby was a healthy baby”. We know so much more today about weight and health to realize how far that statement is from the truth. I am not suggesting monitoring a baby’s feedings and dietary habits as we would our own adult intake of fat and carbs. But regular visits to the pediatrician during the first year of a child’s life will help track his/her growth and development related to his/her nutritional intake . Discussions about feeding schedules such as when and what solid foods to introduce can help parents along the way so that formula or breast milk still remain the major source of nutrition during baby’s first year. For the first 6 months breast milk or formula is normally the sole nutrition for your child and it remains the major source of nutrition for a child’s first year of life. Clearly monitoring your child’s growth and development along with your pediatrician will determine whether your child is getting sufficient nutrition. HealthyChildren.org – Feeding & Nutrition. I came across an interesting study from the American Academy of Pediatrics of a group of infants and their transition to a variety of foods during their first year. We found dramatic transitions in dietary consumption that occurred among infants during their first year. The transition from a diet of virtually nothing but breast milk, infant formula, or both to a varied diet of foods from all food groups began for most infants at ∼4 to 5 months of age and continued throughout their first 12 months. Infant cereal was usually the first food other than milk or formula given to infants and remained the most common supplementary food until infants were ∼8 months of age. Fruits and vegetables were introduced at a median age of 5 to 6 months, and meats were introduced at a median age of ∼8 months. By 1 year of age, more than half of the infants were consuming a diet that included not only cereals, fruits, vegetables, meats, and milk products but also foods high in sugar or fat but low in nutrient density. Even though I was a Masters educated Maternal and Child nurse when I brought home my first daughter, I did not have a clue as to how to increase her formula beyond the first week of her life. Thankfully, Jackson Memorial Hospital in Miami had given me a “mimeographed” booklet about feeding during the first year of a baby’s life. I kept that dogeared booklet very close at hand since I dared not rely on my own mother or extended family…at the time, they seemed as clueless as I was. During a recent Google search I located an excellent resource for infant feeding from Lucile Packard Children’s Hospital at Stanford, Palo Alto, CA “Feeding Guide of the First Year”. The guide divides the first year into two parts (4 to 8 months) and (9 to 12 months) and then subdivides these ages. It also provides a complete list of food items as well as measured amounts. Baby’s tiny stomach cannot hold that much solid food and breast milk or formula will still be his main source of nutrition. The first year of life is a year of unbelievably rapid growth and development…a baby needs the proper nutrition to keep up with all the physical changes that are taking place. 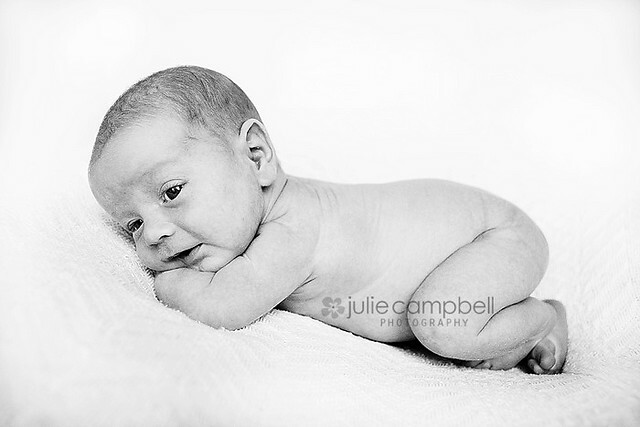 More growth occurs during this period of life than any other time in your child’s life. What is wrong with kids’s parties? Q & A about preterm inductions. Have a wonderful weekend from Parenting in the Loop!! !